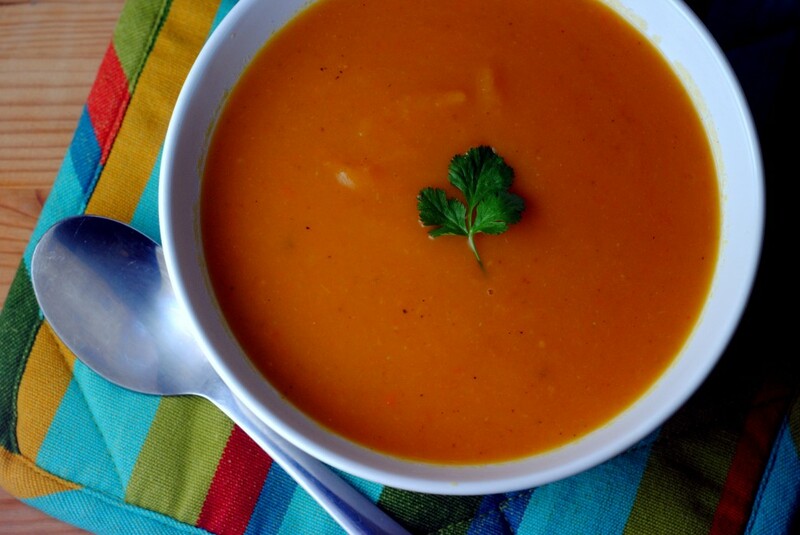 I love sweet potatoes, and I love the idea of sweet potato soup but too often it ends up being bland or overly sweet. Sometimes its a little too much like baby food, or there’s too much cream to thicken it up. I was sick all last week and so of course I wanted soup. But I also didn’t want to make something that was overly involved or complicated; I was sick after all and it was a nasty virus. So I decided to make sweet potato soup, but with attitude. From start to finish this took about 30 minutes, only a few of which were really hands on, beyond the occasional stirring of the pot. To give it some character I added spicy curry paste to the vegetables before adding the broth. 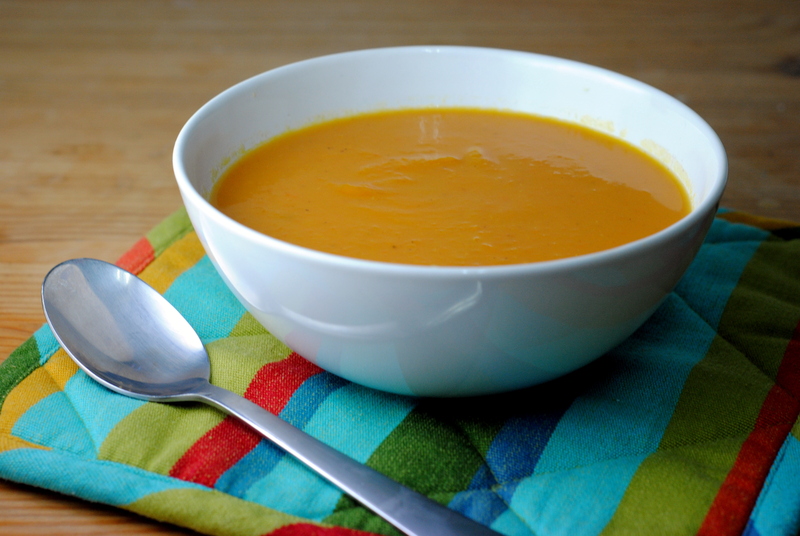 It was just enough to make the soup interesting without overpowering the delicate sweet potato flavor. I added a few carrots as well, just for good measure. Saute the onion and garlic in a small amount of olive oil until soft. Add the sweet potatoes and carrots and stir to combine. Mix in the curry paste and cook for 1 minute, until fragrant. Add the vegetable broth. Bring to a boil, lower the heat, and simmer, covered, until the sweet potatoes and carrots are softened, about 20 minutes. Using an immersion blender or carefully using a blender, blend until smooth. Season with salt and pepper and serve hot. Garnish with chopped cilantro or a drizzle of cream, if you wish. I did neither. Some crunchy croutons or oyster crackers would also be excellent.